This summer we have been doing a lot of traveling back and forth to our vacation property and one thing we always need is music to get us moving. The Monster SuperStar Wireless Bluetooth Speaker/Speakerphone is the perfect little sound machine to take with us wherever our travels lead us this summer. 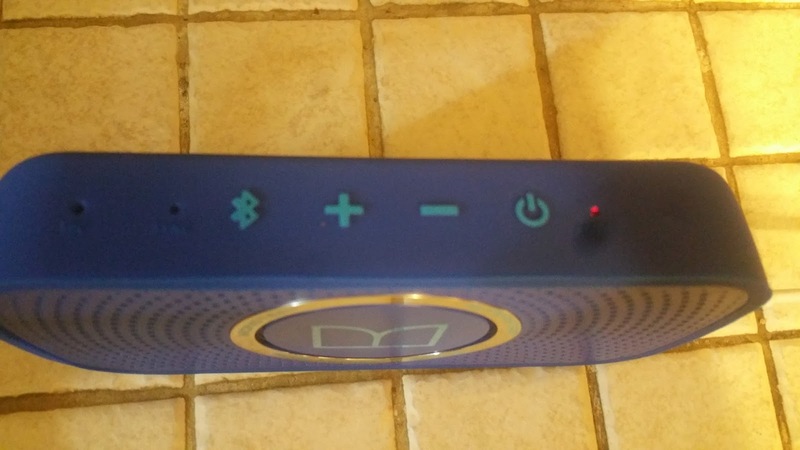 This little machine is the World's Smallest water resistant wireless speaker. 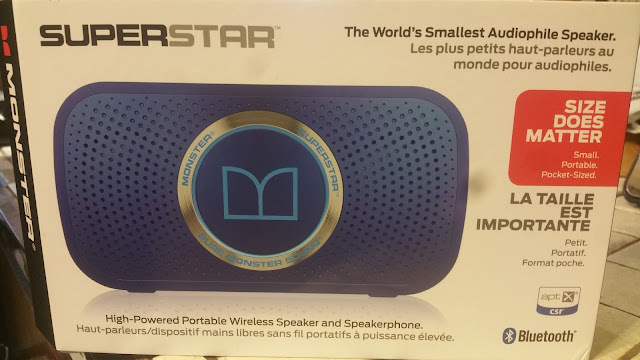 the Monster SuperStar wireless bluetooth speaker can travel with you anywhere since it can fit in your pocket! 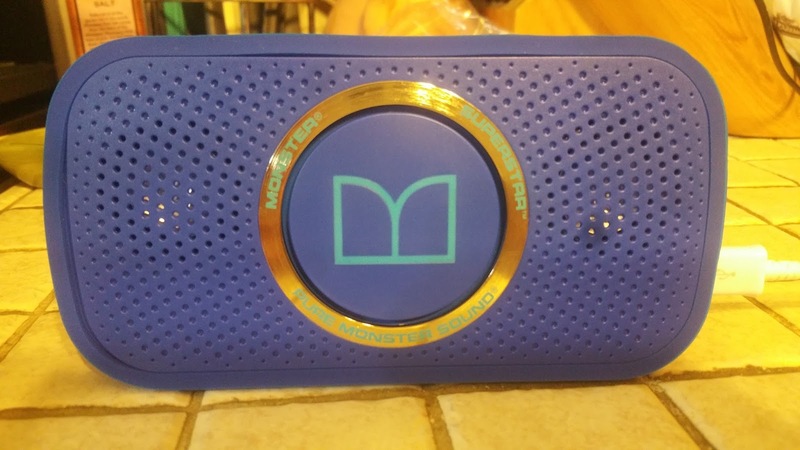 There is a silicon water resistant cover that makes this outdoor speaker rugged enough for my kids to use which is a huge plus. It is also great for my husband to take to work with him, even at the job sites! 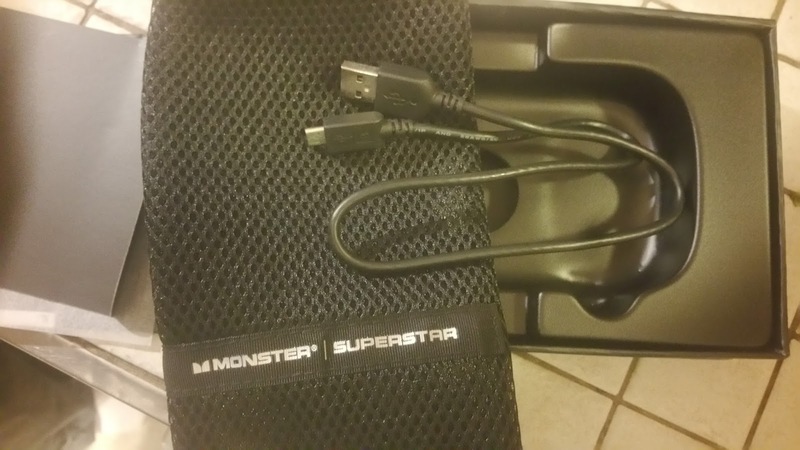 With 4 different colors to chose from, there is a Monster SuperStar speaker for everyone. Party of 5 is giving away a $25 Walmart Gift Card to get you started on your summer parties! I like that this Monster Speaker can be used withSmartphones, Tablets, notebooks and PCs! I also like that it is Waterproof! I like Party of 5 and Counting on Facebook! 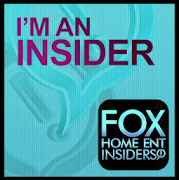 I like your blog a lot!